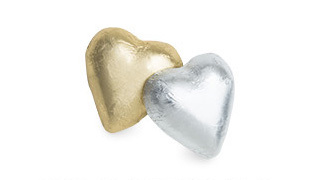 Our beautifully packaged confections are created just for you, cherished by everyone else. We are experts at the fine art of planning, packaging, and shipping large orders for special events, parties, and other occasions. 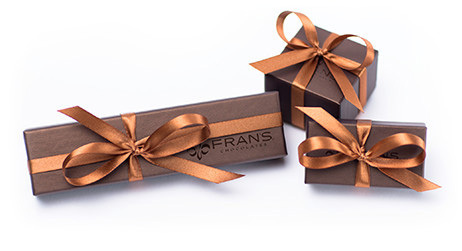 Let us tailor your order with a rich assortment of hand-tied bows, hang tags, message enclosures, simplified deliveries, and an arrival date of your choosing. 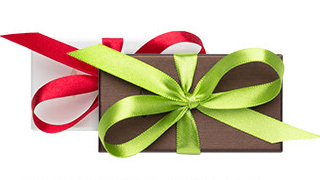 We will ship your gifts to one location or to multiple individual addresses, simply and efficiently. We offer satin ribbons in a rich variety of colors. Personalize your box with the right color for your company. Provide us with your printed hang-tags, and we’ll hand-tie them to each box. We can also work with you to create custom, letter-press hang-tags. Use our beautiful ivory gift enclosures and envelope with your gift message. Please allow up to 4 weeks for your custom colors. 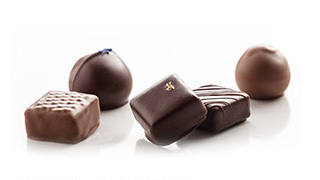 Place your order whenever it is convenient for you and we’ll ship it later with our freshest chocolates. To ensure we have enough time to hand-make and hand-pack your order, please allow up to 14 days for orders shipping in December. Order more, save more. Applies to orders placed January through November. Please note that discounts are not available in December. 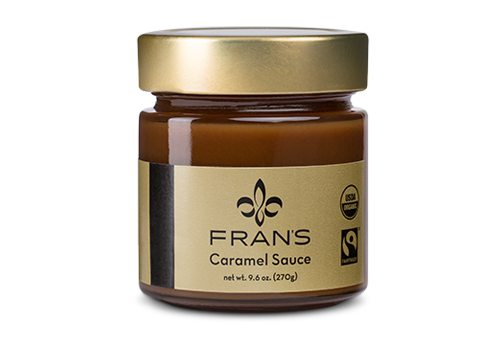 Our confections are crafted with the finest ingredients, including local and organic cream and butter. For peak freshness and flavor, please enjoy our truffles within 10 days, and our caramels and nuts within 30 days of delivery. Store out of direct sunlight, in a cool, dry place between 54⁰ - 68⁰ F.
We’re ready to handle your parties and large orders. 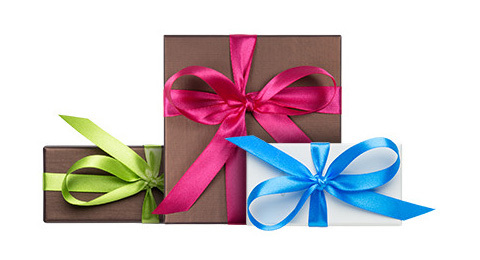 Call or email us, and one of our business gifting specialists will work with you to place your order for you. After your order is placed we will create a business account with your address book so future orders are a breeze. If you prefer to place your order yourself, our interactive tool makes it easy. Start by creating an account and saving your addresses in your account. When you are ready to order simply log-in, add products to your cart then select the option to send to multiple addresses during checkout. $10 flat-rate shipping to WA, OR, ID and CA. Add $10 for overnight shipping. All shipments to Alaska and Hawaii require an additional $15 charge for delivery. Shipping rates apply to each address. International shipping available; please call us at 206.322.0233 for details. Shipping rates may vary for gift bowls and trays; please call us at 844.435.1192 for details. Discounts are available from January 1 through November 20. Please note: Discounts do not apply to shipping charges.